In line with the floral print trend, I even added a pretty peony coffee tumbler to the look. It's from one of my favorite online boutiques - and I'm sure you've seen this one on my IG many times before. I also added some brightly colored accessories to give the outfit more of a springtime appearance. The teal tiered tassel earrings bring out the color in the skort, and I love them so much I own five pairs in various hues. Sadly, my color block clutch is sold out (but available in a solid color), but the brand is one of the best for versatile bags to take on the go. I also own their uber clutch in magenta (and absolutely love the black). They are nice and roomy so you can take your keys, wallet, lipgloss, phone, and more! You can also find my recent post on transitioning mini skirts HERE that would also work well with a skort like the one in this post. You've probably seen my large tortoise sunglasses numerous times in blog posts and on social media. They are a designer splurge but I wear them every day - I hardly ever change it up. The style looks great on so many face shapes and the tortoise coloring is a less harsh alternative to the black - at least on my skin tone. I'm so excited to share that they are currently ON SALE for the next couple days. Seriously, don't miss the chance to snag a pair, and see some of my other favorites from the sale below. There's a HUGE Shopbop sale happening now and there are tons of designer pieces at awesome discounts. I purchased my sunglasses during this same sale because you can rarely find them at a lower price. AND Shopbop has free shipping & returns so if you get them and don't love them, you can always send them back or switch them out at no cost. 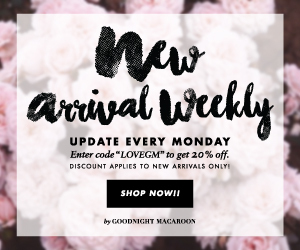 LOVE free shipping & returns! 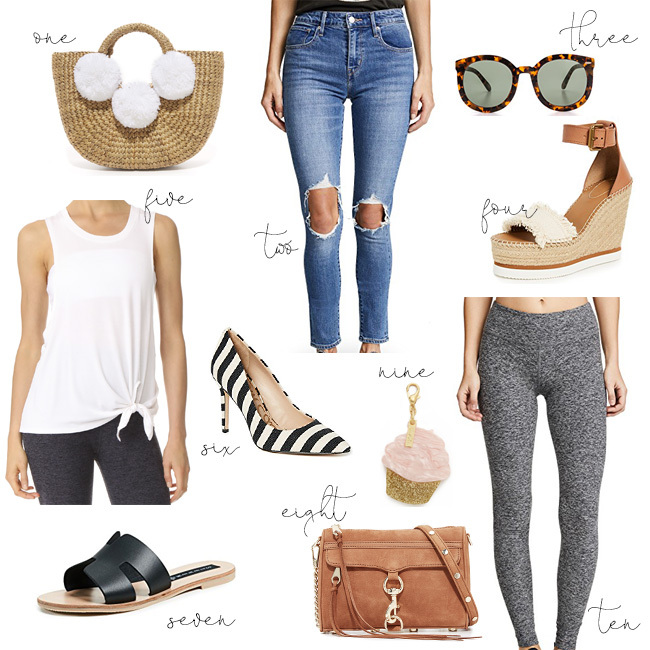 Above you'll find some of my favorites from the sale, like the See by Chole Glyn Wedge in white that I recently snagged for Spring and summer. They are SO practical and surprisingly lightweight (they also come in a similar pair in black I've linked above). Additionally, I'm snatching up these ripped knee jeans under $90 - I love this new distressed trend so much! These are great for petite with a 28.5-inch inseam and I've linked a darker wash pair below with a 30+ inch inseam great for my taller ladies. You'll also find my Rebecca Minkoff Mini Mac I've had for years! It's one of the best crossbody bags and goes with literally everything. And for a chic heel, you'll find a white & black striped pump in the same style as the hot pink and leopard pair I own. I love these for work if you're looking for a pop of pattern! When shopping the sale, use the code GOBIG18 to receive 15% off $200+, 20% off $500+, or 25% off $800+. It's definitely worth it on designer items that rarely go on sale. You'll also find tons of AG Jeans discounted - my favorite denim brand of all time!